What Is a Smoking Room? 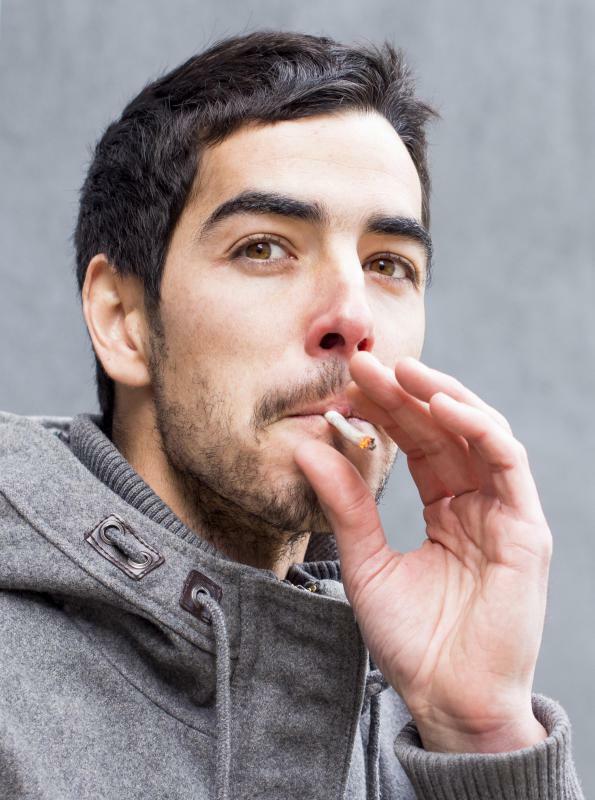 Individuals in a smoking room usually don't have to worry about the impacts of their smoking on others. 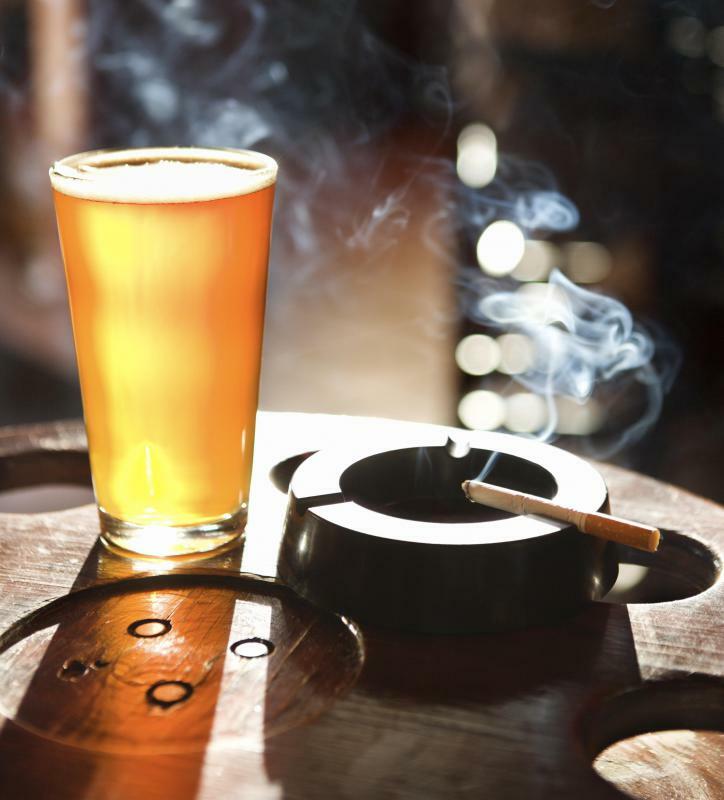 Smoking is often accompanied by drinking. Designated smoking rooms are designed to shield people who don't smoke from the dangerous consequences of secondhand smoke. Any room that is devoted to smoking can be considered a smoking room. Smoking is encouraged in a smoking room. A smoking room is a space in which smoking is not only allowed but encouraged. Typically this space has been set aside specifically for the purpose of smoking either cigarettes or cigars, though typically not both. It is not entirely uncommon for a house to have a smoking room, but most devoted smoking lounges are public spaces or private clubs. The furniture in a room of this type is intended to cater to sitting, relaxing, and sometimes drinking. 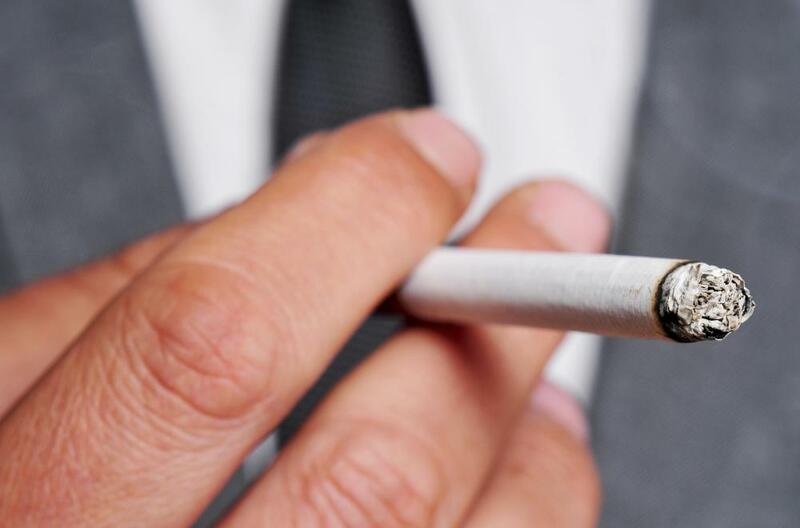 In some areas, smoking rooms are outlawed altogether or may be placed under severe restrictions that limit where the room can be located and who can enter. Speaking broadly, a smoking room is any room that is devoted to smoking. A room where someone happens to smoke is usually not considered a smoking lounge. In many cases, rooms that are specifically for smoking are in areas where smoking is otherwise disallowed, such as many airports. 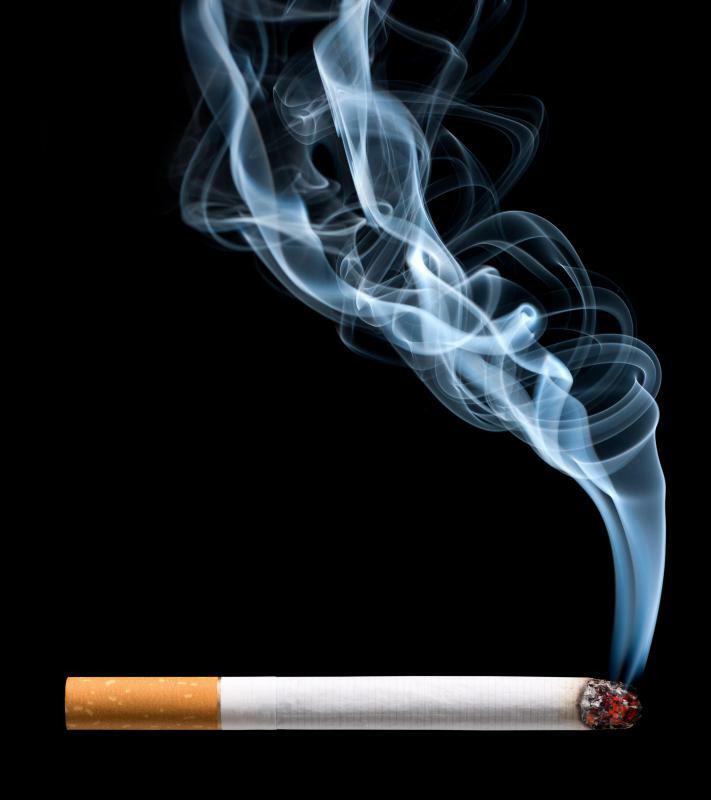 For some people, smoking is an enjoyable social or solitary activity that takes place after dinner and is accompanied with drinks, and a room designed to facilitate this activity can also be considered a smoking room. There are many different smoking room designs, but most include areas for sitting. Some include tables for playing cards or other activities. Many older smoking rooms have elaborately designed woodwork, tile, and ceilings. Given that smoking is typically the primary activity in these rooms, the furniture and architecture must be resistant to damage from smoke. While elaborate designs for smoking rooms were once common, it is often the case that smoking rooms are less decorated when located in airports and other public areas. These areas typically focus on the room's ventilation and resistance to smoke damage as well as obeying any relevant laws about smoking. Some public smoking rooms in transportation buildings are sponsored by cigarette companies that make an effort to make the room a welcoming place. In many areas, smoking rooms are outlawed altogether. A typical smoking room design might be quite different depending on the time and the area in which the room is located. Smoking rooms located in gentlemen's clubs bear very little resemblance to those located in, for example, modern airports. Likewise, a historical Chinese smoking room might have a different design than an English room. When building a smoking room for a public area, it is primarily important to make sure that the room obeys all relevant laws for the area and promotes the comfort both of people in the room and those who may pass outside of it. For private spaces where this is not a concern, the feel of the room and its comfort may take precedence. What Is a Control Room? What Different Hearing Impaired Smoke Detectors are Available? How do I Choose the Best Home Smoke Alarm? What are the Different Types of Smoking Supplies? What is Third Hand Smoke? What is the Difference Between Cold Smoking and Hot Smoking?